Lincolnshire County Council is seeking contractors for highway maintenance work that could be worth £762m over 12 years. 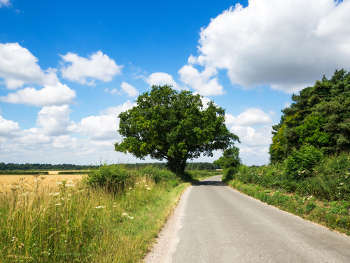 The council has published a prior information notice (PIN) stating that it is undertaking a procurement exercise for the provision of a highway maintenance contract to replace the current Lincolnshire Highways Alliance, which is due to expire in March 2020. The procurement consists of three lots: Highway Works, Traffic Signals, and Design Services. The PIN states that it is anticipated that the contract term for each lot will be six years starting from 1 April 2020, with the opportunity to extend the contract for an additional six years to a maximum term of 12 years. It adds that as part of the commissioning cycle the council is ‘keen to test the direction of travel with the market prior to commencing the formal procurement process’. The council plans to hold a Meet the Buyer Day in Lincoln on 18 May and is asking interested parties to register interest. To book your place, e-mail Highways2020@lincolnshire.gov.uk. The estimated total value of the procurement excluding VAT is £762m. All lots require the contractor to assist the council in the provision of the highway service so that it can meet its obligations and statutory duties. street Lighting: routine maintenance cleaning and replacement with emergency response. Traffic Signals: routine maintenance, cleaning, replacement and emergency response. maintain and manage LCCs Traffic Models. The estimated date for the publication of the contract notice is 16 July.